Bringing interest to life around me...small oil paintings to share a way of seeing and feeling. This Port pipe was gifted to me from my cousin when I left Australia. 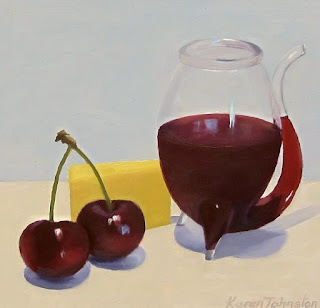 Port is a favorite drink of mine so paired with cheese and cherries it makes a great subject to paint! Not that easy and a bit time consuming but a good challenge! Well, I've never seen a Port pipe, Karen. What fun! Thanks for sharing your thoughts and comments, I love reading them...they keep me inspired! Receive my Daily Paintings in your inbox! It's free. You can unsubscribe at any time. Welcome to my blog and please enjoy!I am a painter, living in Napier, New Zealand, doing what I love! This blog is for my small Daily Paintings and drawings I have been doing since August 2011.I will post 2-3 times a week. 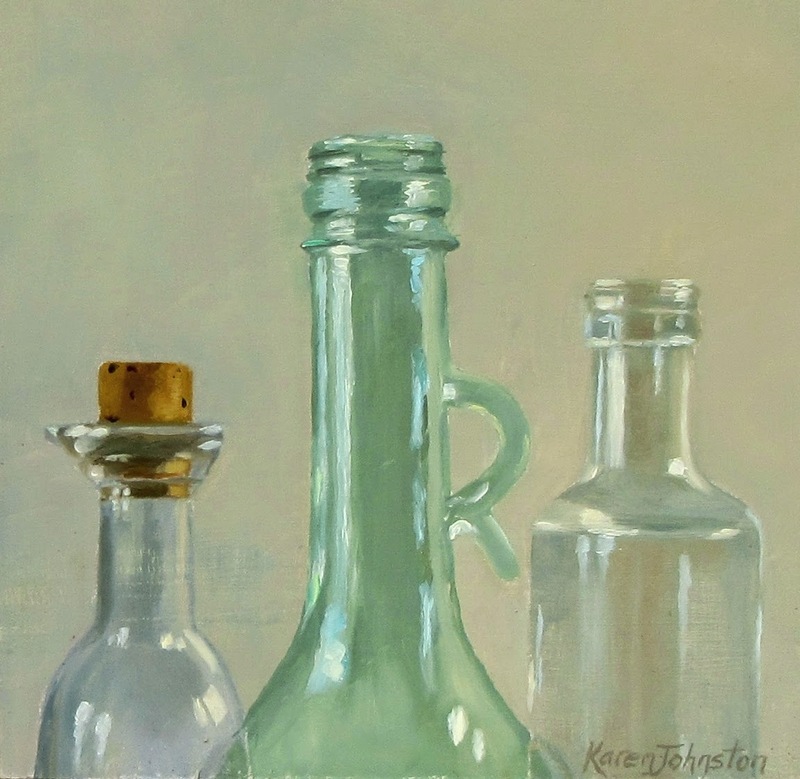 Most are paintings of everyday subject matter, ranging from still life to flowers and landscapes. I favor simplicity over complexity in composition! Some small works will be on the Daily Paintworks Auctions. You can contact me to purchase work that is not on auction, or buy directly from this blog or my website. I appreciate you taking the time to visit and your comments are most welcome! You can drop me a line or follow along with me if you would like to subscribe in the box at the top.